Dubai’s electric utilities are considering buying back power generated from solar panels on the roofs of houses and office buildings. Last year, the city carried out its first ever study to see how much solar power is being produced outside the grid and it found that local businesses and other private owners were producing around 5 MW of electricity for their own use. If that much is being done with no incentives, they thought, how much power could citizens deploy if there were an incentive? 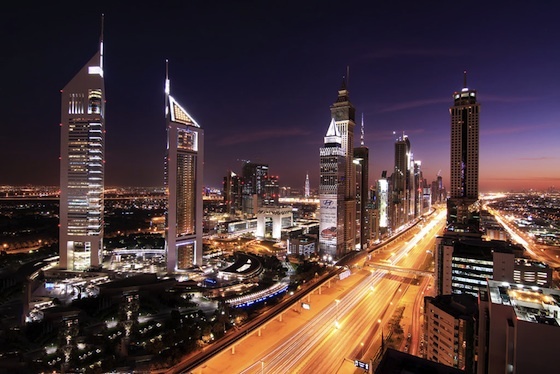 Dubai electricity consumption is growing at an average rate of 15 per cent, almost four times the global growth of 4 per cent, and by 2007, the city already had a 24 GW electricity habit. Solar prices in Dubai are similar to California at about US$10,000 (Dh36,700) for enough electricity for a typical home. Dubai Water and Electricity Authority (Dewa) has now hired consultants; Belgium-based Tractebel to look into the feasibility of some kind of a payment method. To encourage more generation from distributed energy off lots of individual solar rooftops, Dubai is considering preferential rates on bank loans, along with leaning towards the subsidy route. The U.S. has offered rebates since 2006, with little success. The U.S. did not see the same success as feed in tariffs when it offered rebates providing discounts of 30% (nationally) plus additional state rebates (another 50% in the state of Louisiana – to add up to 80%) cutting the upfront payments. Other nations found that clean energy got ramped up pretty fast when the price is right. A feed in tariff, as in Spain, Germany and the United Kingdom, drove adoption rates to record levels. Similarly, in the U.S. it was selling solar credits to utilities that quickly drove New Jersey to parity with California over a very few years, because people saw money selling Solar Renewable Energy Credits (SRECs). There is just something people respond to on a psychological level about being paid for their production of clean powered electricity. Solar leases, power purchase contracts, and property tax financing were begun in the U.S. 2009, and these also accelerated solar adoption in the U.S.
My two cents to Dubai, after five years immersed in renewable policy? Go with a direct payment system like New jersey’s SRECs or Europe’s FITs. Hi there, all the time i used to check website posts here early in the dawn, since i love to learn more and more.